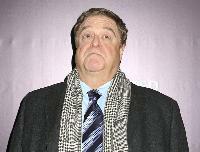 Every once in awhile a celebrity will pull a bizarre facial expression out of the blue. 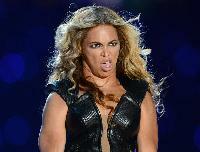 Beyonce looks like shes just smelt something terrible and is livid about it. Who can blame her? What is that horrendous stench? Has Jennifer Lawrence just seen Justin Bieber naked? Whatever it is, it must be pretty scary. The look of sheer horror on her face says it all. Uma Thurman is trying to keep her eyes open. Boring meeting? Weve all been there. Next time youre struggling to stay awake, spare a thought for Uma, at least no-one takes pictures when it happens to you. We hear you, Brooke, we dont like being caught off guard either. She looks shocked to be snapped out and about unexpectedly, the perils of being famous. Confused with what your award is for, Miley? Its MTVs award for video of the year 2014, you won it for your video Wrecking Ball. The controversial video had many people pulling a face just like this. Despite being a serial face-puller, we get the feeling Sandra Bullock isnt a fan of plunging her hands into cement. We dont blame her, it must play havoc with her beautifully manicured hands. Jean Paul is pulling what has to be one of the best silly faces weve ever seen. Wed love to know what he was saying when he was striking this pose. 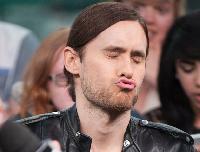 Jared Letos giving us his best monkey impersonation. Thanks for the impressive effort, Jared. Big Johns not looking impressed here at the premiere of The Monuments Men in New York Is it the film, or is it something we said? Its nice to know Cara Delevingne doesnt take things too seriously. Here she is at the British Fashion Awards with her well-deserved award for Model of the Year 2014.